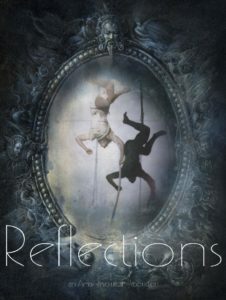 AERIAL REVOLUTION ENTERTAINMENT PRESENTS, “REFLECTIONS.” APRIL 26-27TH. This show is going to be amazing! It will star our staff both past and present. Incredible remakes of some of our favorite acts of all time as well as some brand new ones. Family friendly, however expect a couple of PG13 acts and adult innuendos. Audience participation, improv comedy, and many fun surprises! All money earned supports our growing programs and equipment replacement. Saturday 5:00pm show kids are free with paid adult.